MONDAYS AND WEDNESDAYS 7PM STARTING IN JULY! 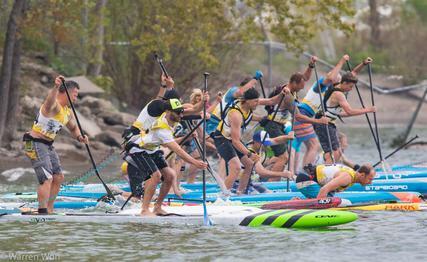 ​Are you an experienced SUP paddler looking to take your racing to the next level? There is no better way to do that than through regular coaching, consistent training and training in a group of like minded paddlers! This program will offer structured 1.5 hour workouts, 2X per week where Monday sessions will be technical workouts and Wednesday sessions will be structured flatwater workouts. Technical workouts can include anything from downwinding, paddling in waves, shorebreak practice, buoy turn practice, beach starts etc. Basically, for the technical sessions, don't plan to stay in one place on the board and bank on swimming a few times! We'll be offering multiple membership options for this program so there is something for everyone no matter what your comfort level or race goal! IMPORTANT NOTE: This is an advanced program where participants will need to have significant experience on a race board. There are prerequisites to joining this program so please email us prior to registering to confirm you have the prereq's. Stay tuned for 2019 program details! Port Credit Harbour however may change depending on day and what conditions Mother Nature provides us! This is an advanced program. Please email us to determine if you have the prerequisite skill. If not, not to worry! We can help get you there! ​Participants are required to bring their own equipment. Unfortunately we cannot offer refunds on unused sessions. Refund for membership available up to 30 days prior to first class. No refund less than 30 days out. 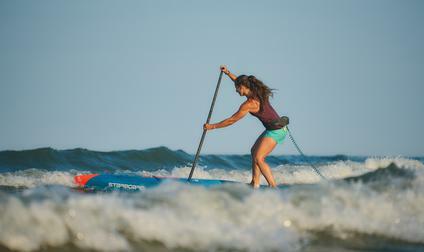 Have you been paddling for awhile but just not sure you're getting the most from your stroke? Or perhaps you have just started and don't want to get into any bad habits. 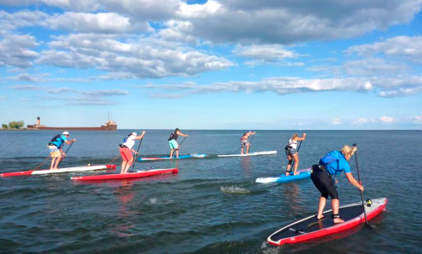 Whether you're a serious racer looking to maximize the performance or a recreational paddler just looking to cover more ground more efficiently, these clinics are for you! DATES Once you register below, we will contact you to set up a day and time! MAX # 6. We like to keep our numbers small for max one-on-one time with our students! EQUIPMENT We highly recommend participants use and bring their own gear, however the prices above include the use of equipment.